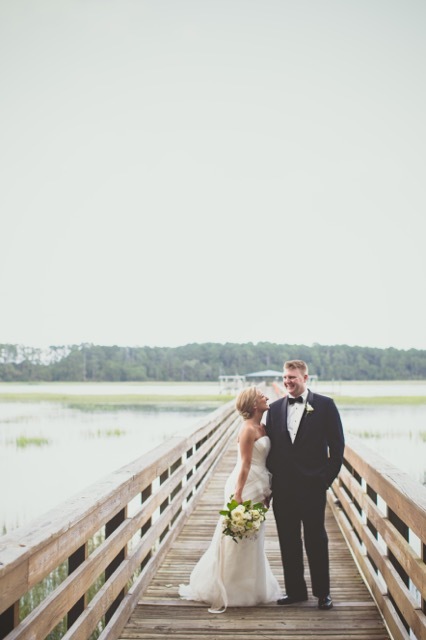 Elizabeth and David are dentists from Kentucky that had a dream of marrying in the sleepy beach town where they grew up vacationing, Hilton Head, SC. 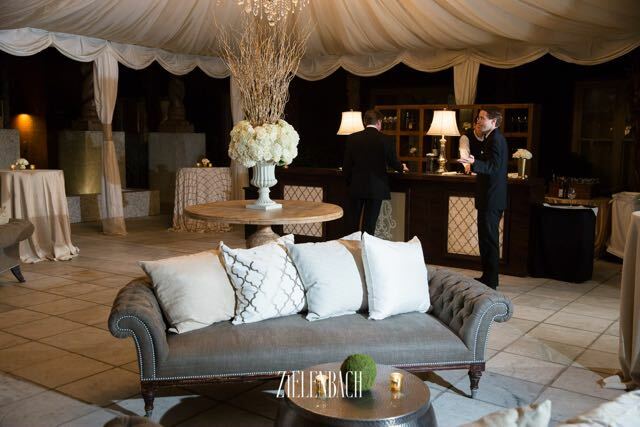 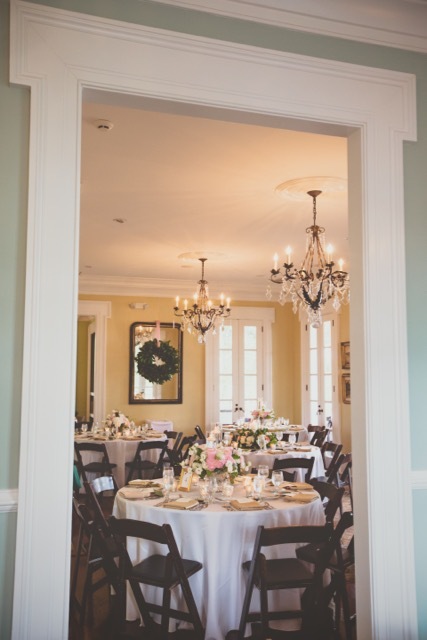 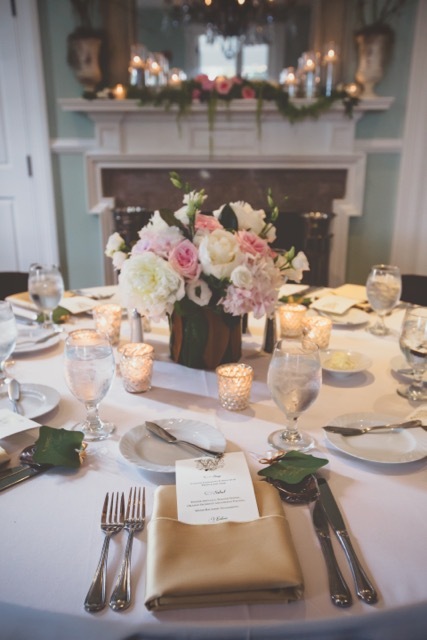 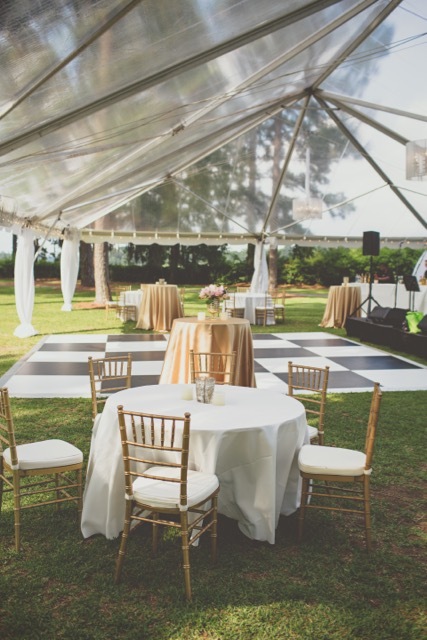 Staying true to their Southern roots, Elizabeth and David wanted a venue that evoked the history, charm and hospitality of the South. 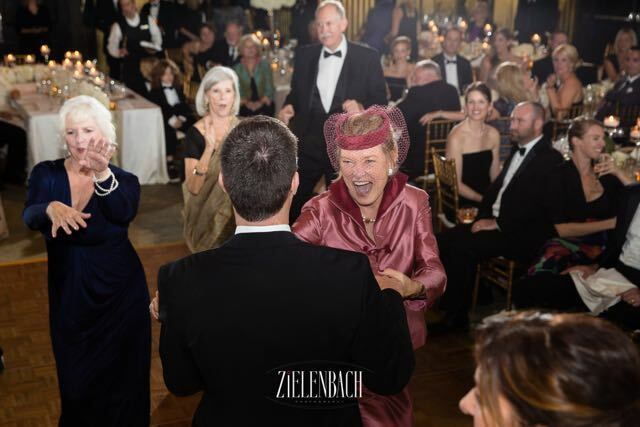 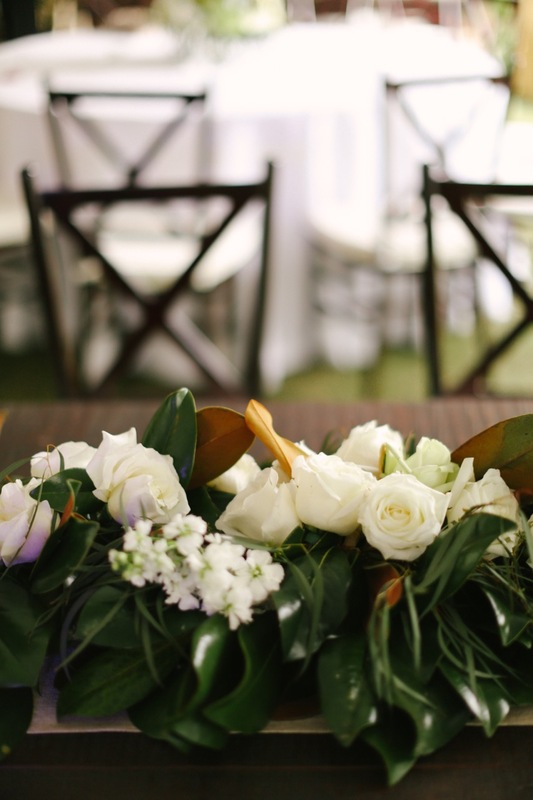 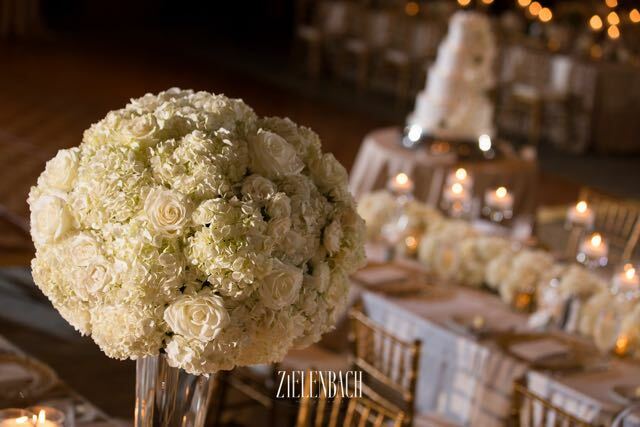 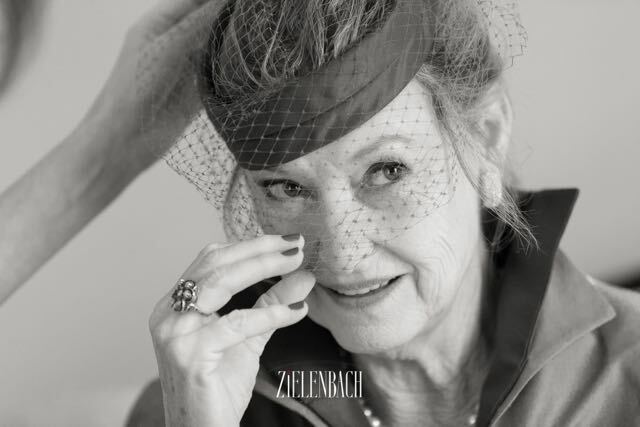 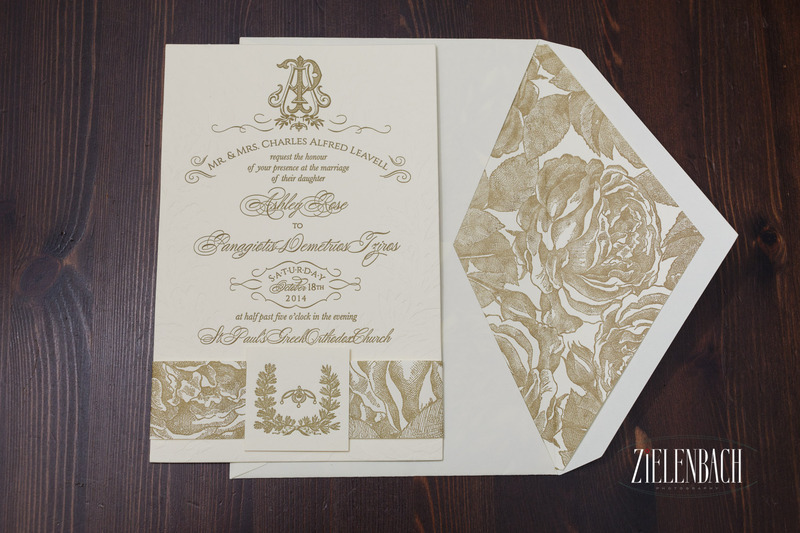 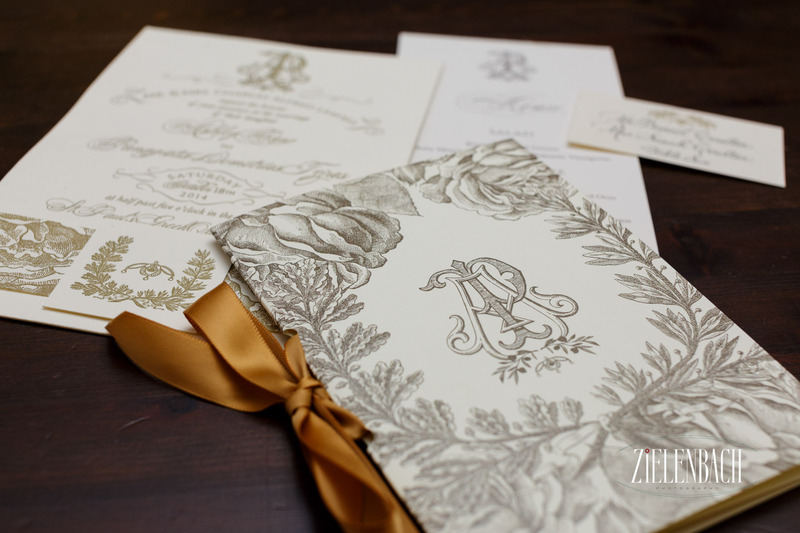 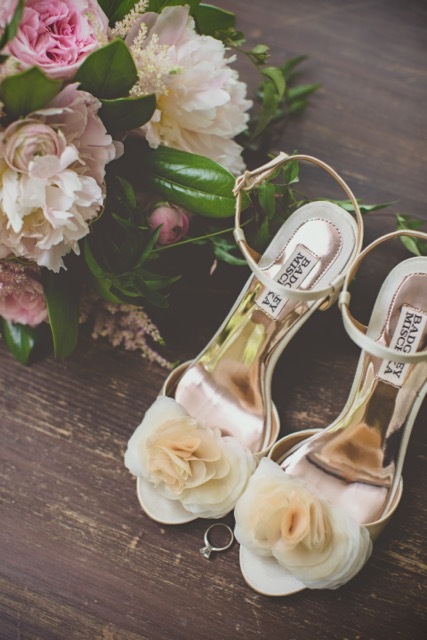 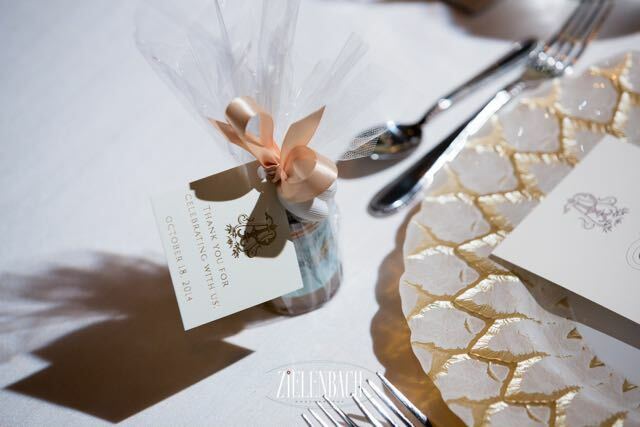 Elizabeth and her mom planned most of the details for her wedding and the most important design element was flowers, which brought music to my ears! 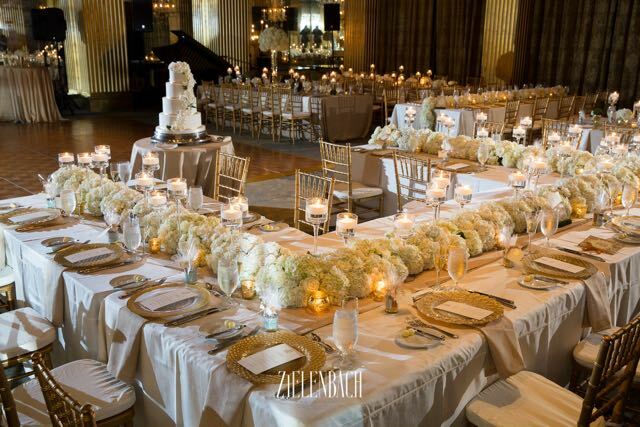 I knew A Floral Affair would be the perfect match for their vision. 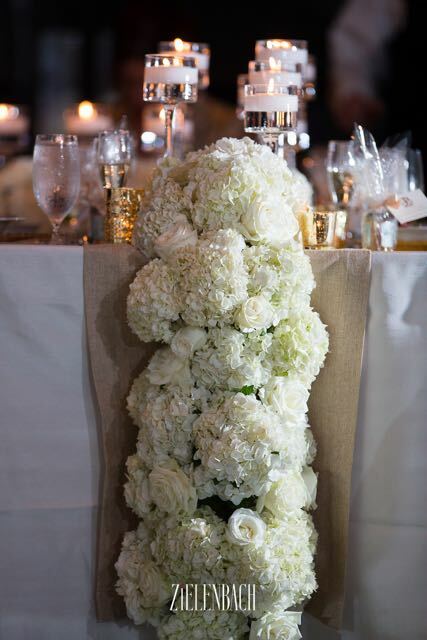 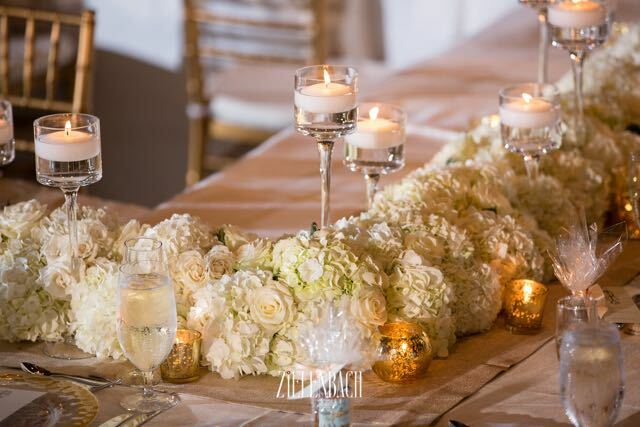 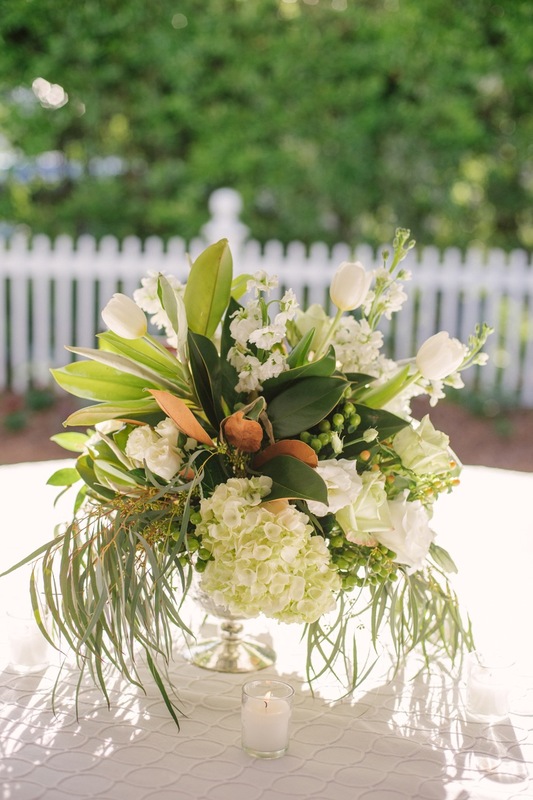 Dawn created several showstopper pieces, adorned with gorgeous Southern blooms: magnolia foliage, hydrangea, garden roses, ranunculus and trailing jasmine vine. 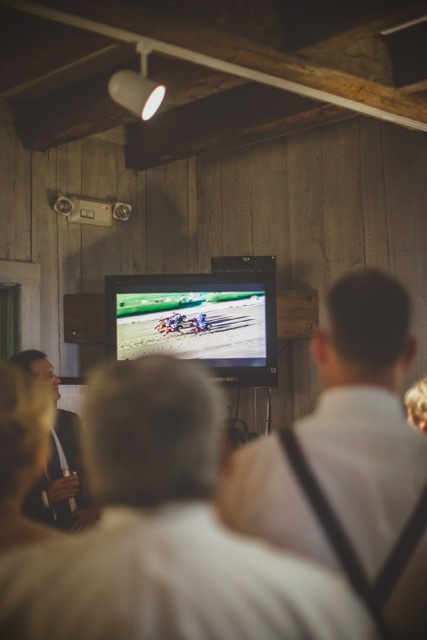 My favorite moment of the night was watching Elizabeth, David and all of their horse-race-loving KY guests take a break from dinner to gather around and watch the final moments of when American Pharaoh won the Belmont Stakes AND the Triple Crown. 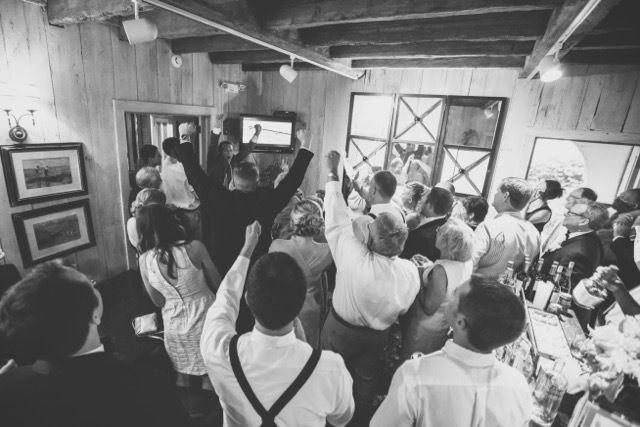 The energy in the house was electric from this group and the photos below say it all. 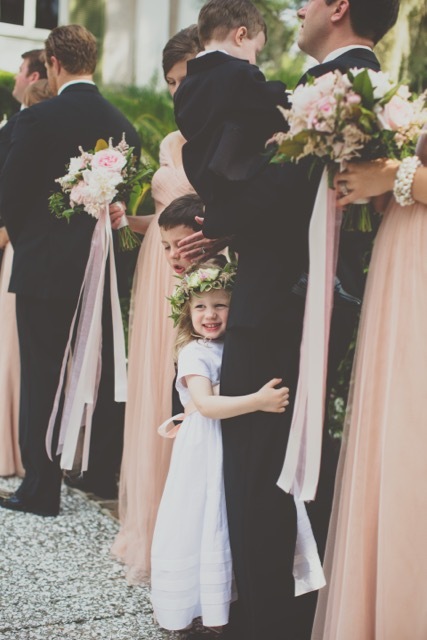 Working with this mother-daughter duo team over the course of 9 months was a dream. 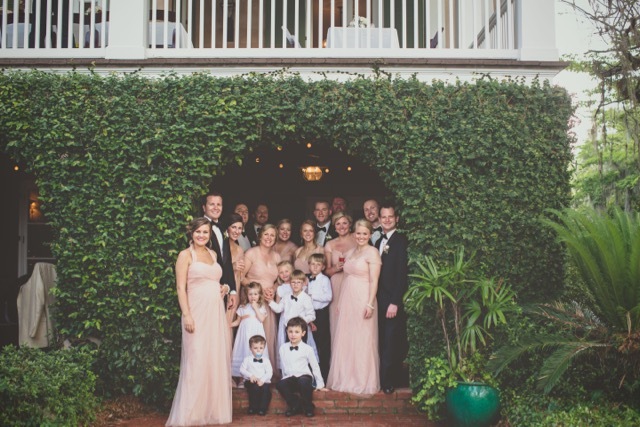 Their gracious and fun-loving personalities made the experience one I would be happy to do all over again. 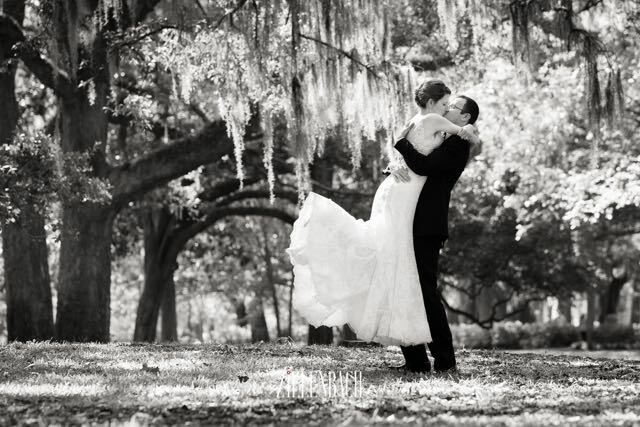 Congratulations to Elizabeth and David and thank you Billie Joe and Jeremy for capturing their memories so beautifully! 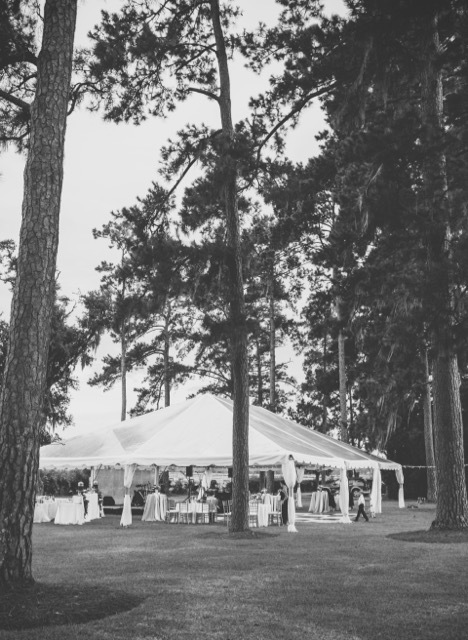 Beaufort, SC is one of my favorite towns to plan weddings in for many reasons, which I could easily create an entirely separate blog post about. 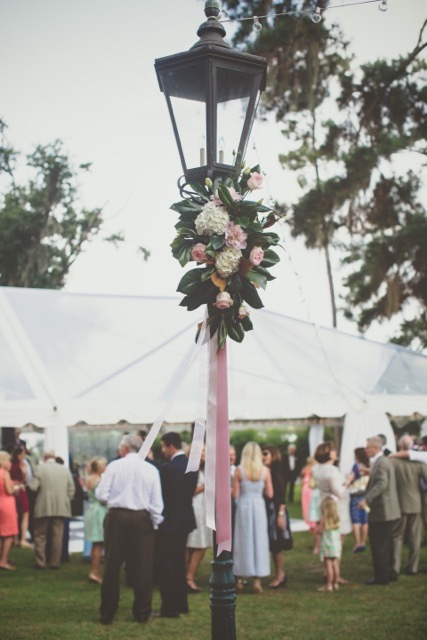 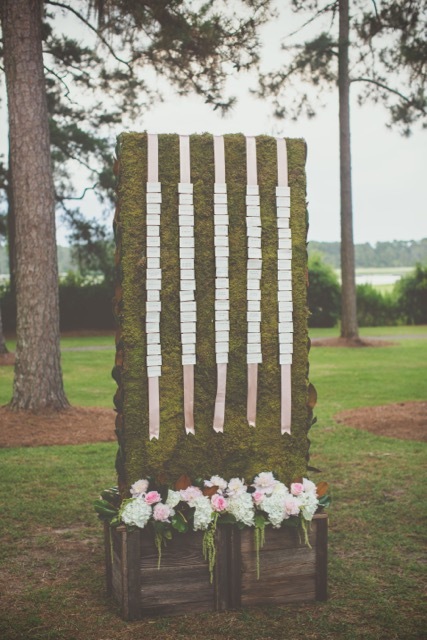 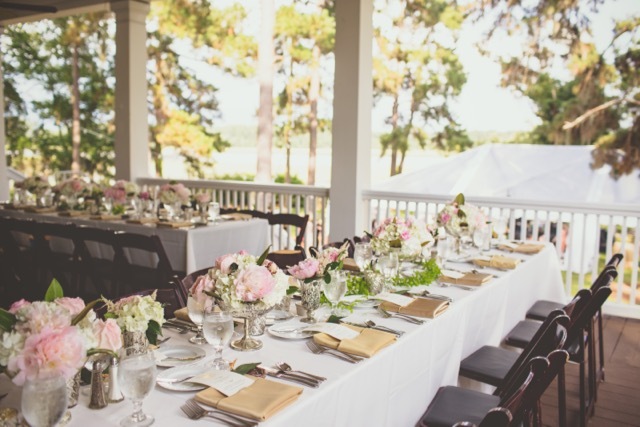 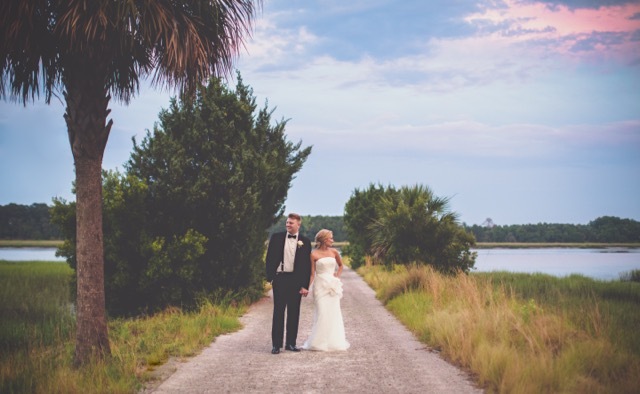 Our bride, Katy was born-and-raised in Beaufort, so when it came time to plan her wedding to Fred, they knew right where it would be – in her quaint, waterfront hometown. 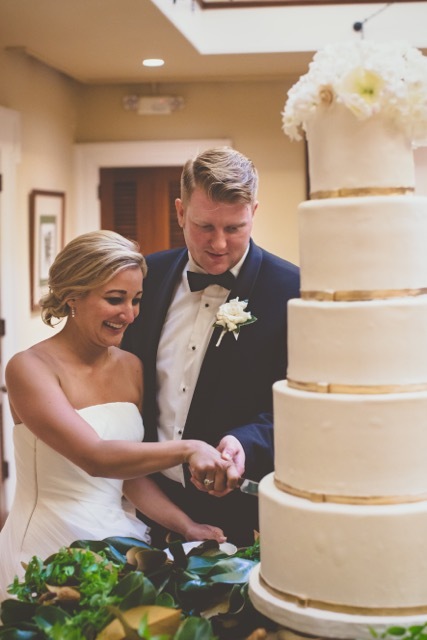 Katy and Fred were married at St. Peter’s Catholic Church, followed by a tented reception with 175 guests at the Beaufort Inn. 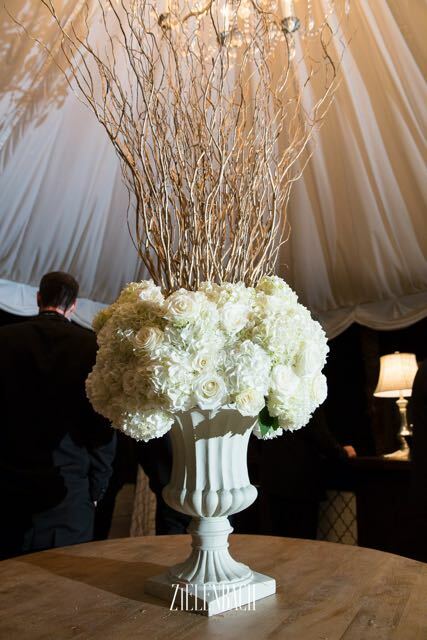 Katy wanted a look that was crisp and organic with elements from the Lowcountry. 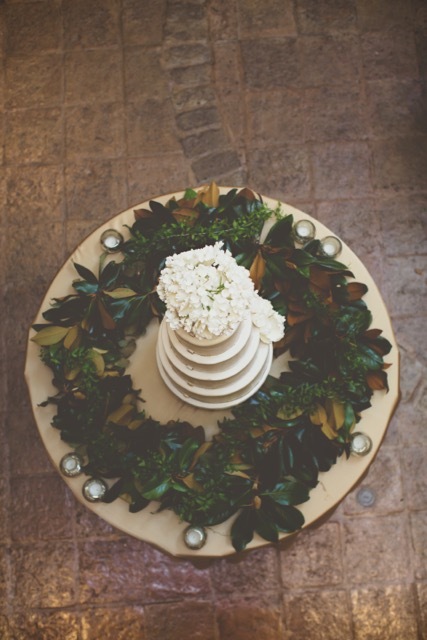 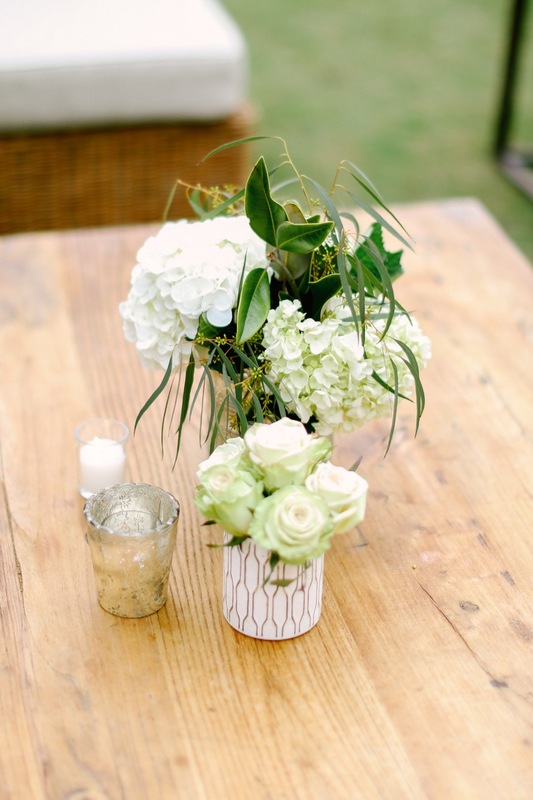 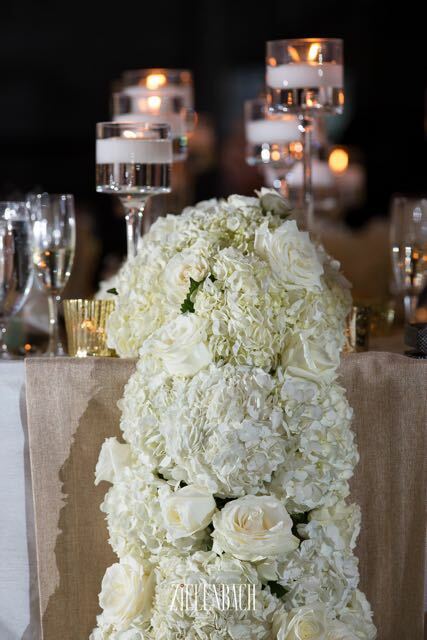 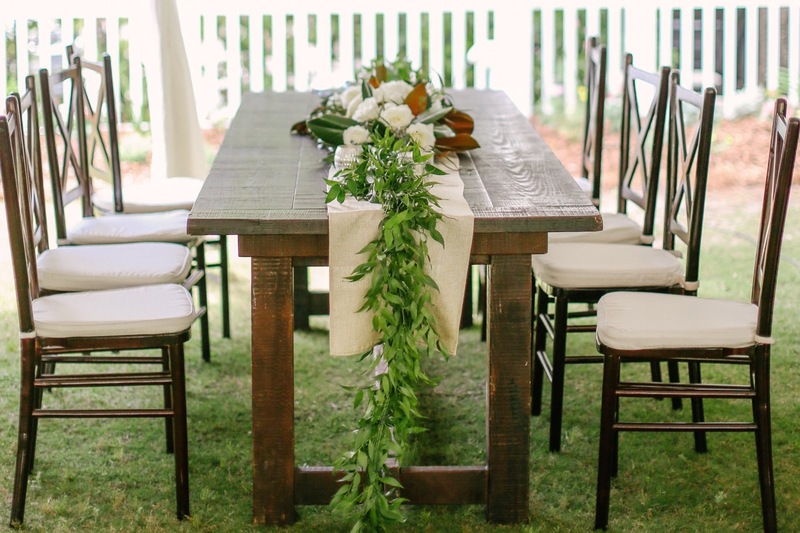 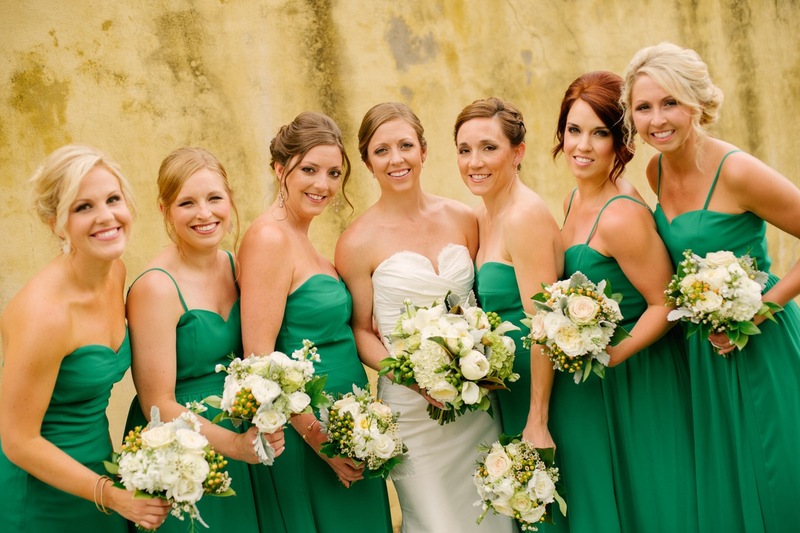 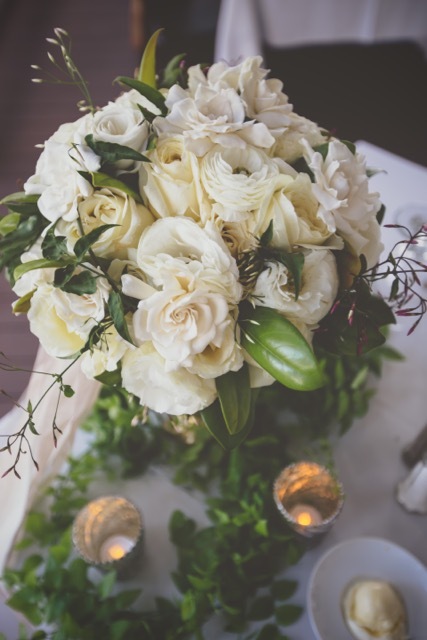 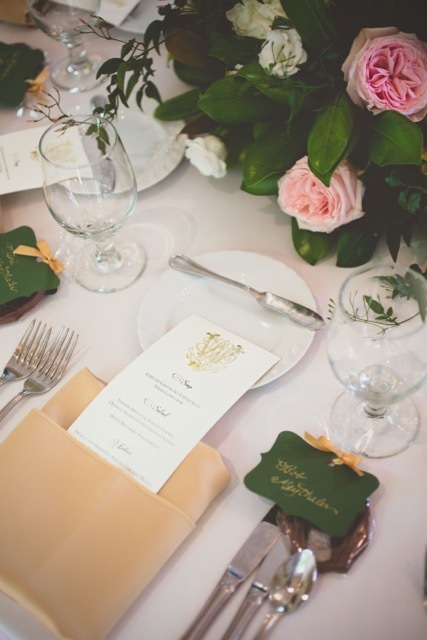 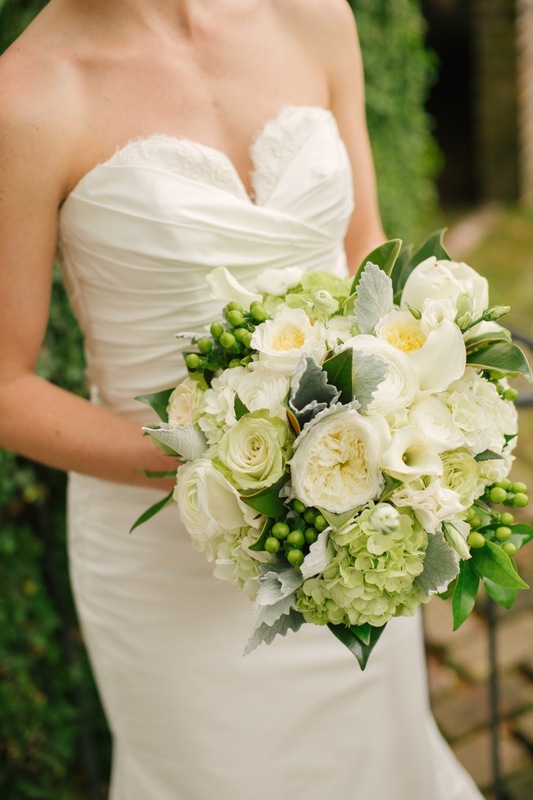 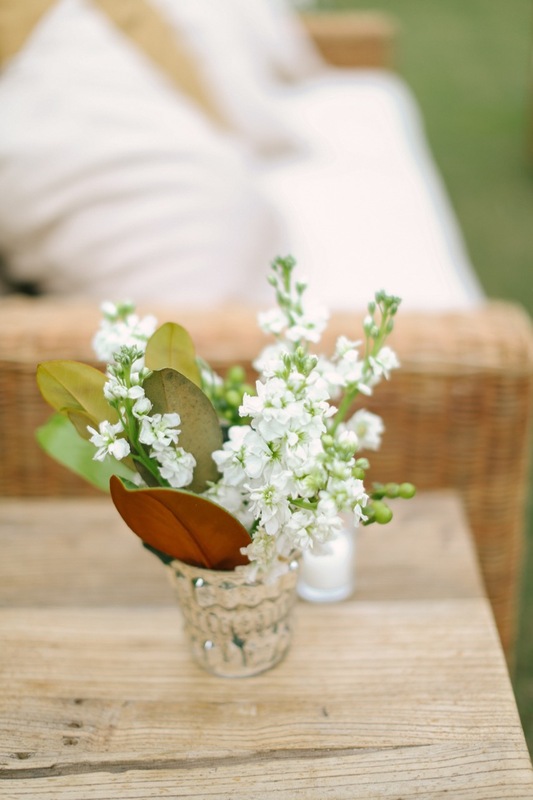 Her colors were green and ivory with accents of rustic brown. 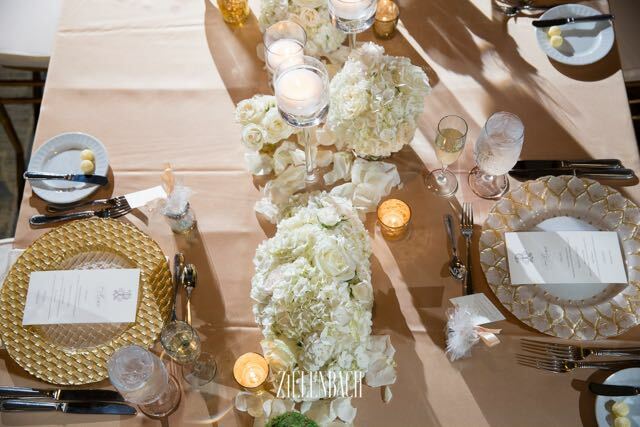 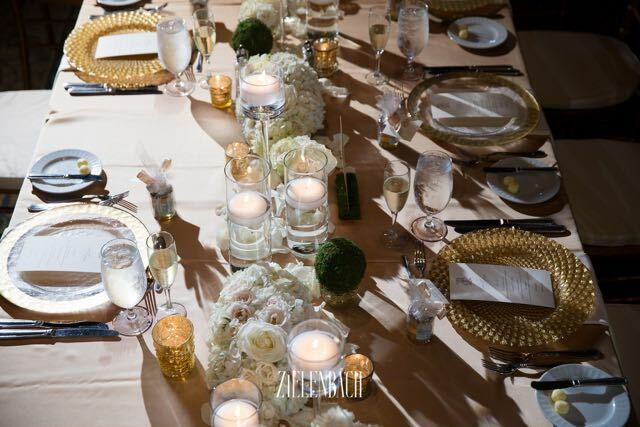 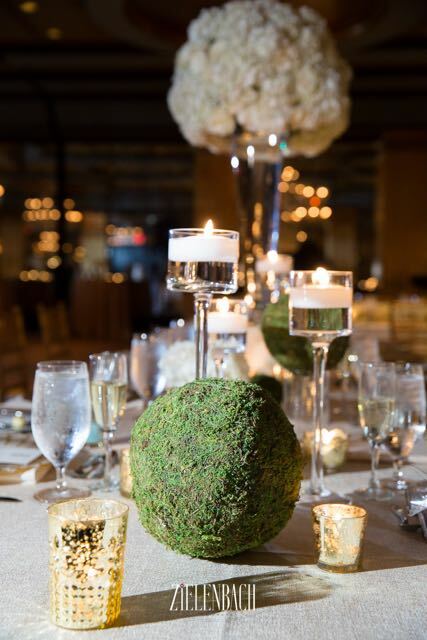 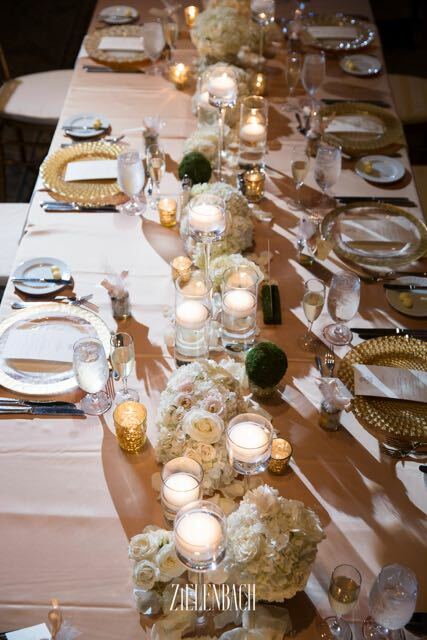 We incorporated mixed metals of gold and copper to tie in with the ombre of browns in the magnolia leave accents, which graced every floral arrangement. 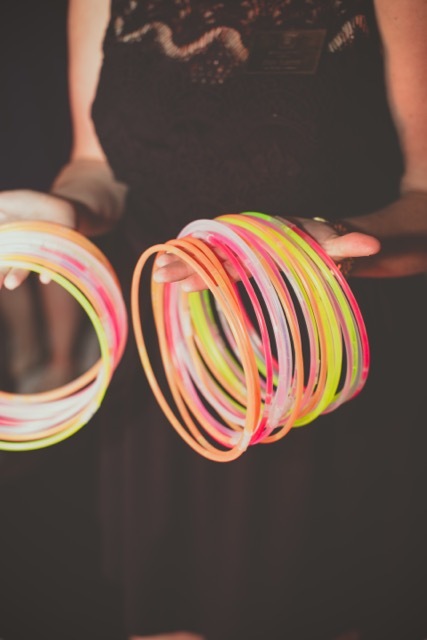 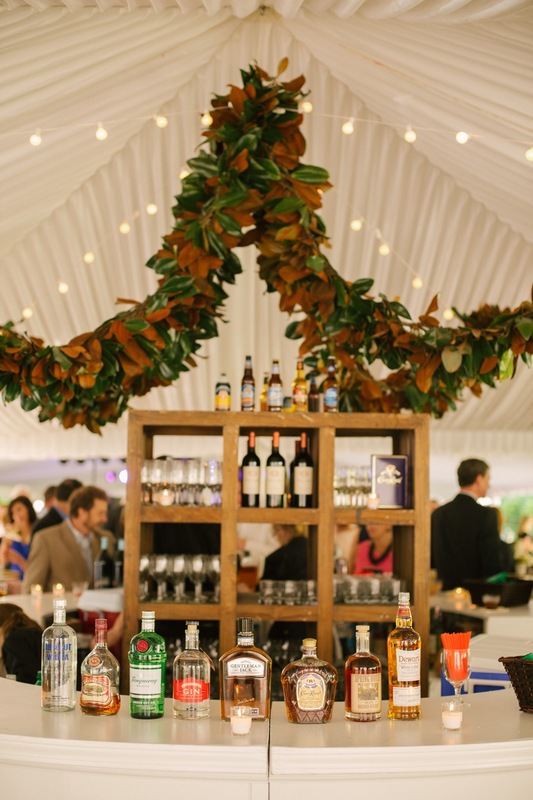 I especially loved the hanging designs, which served as a focal point above the bar and dance floor. 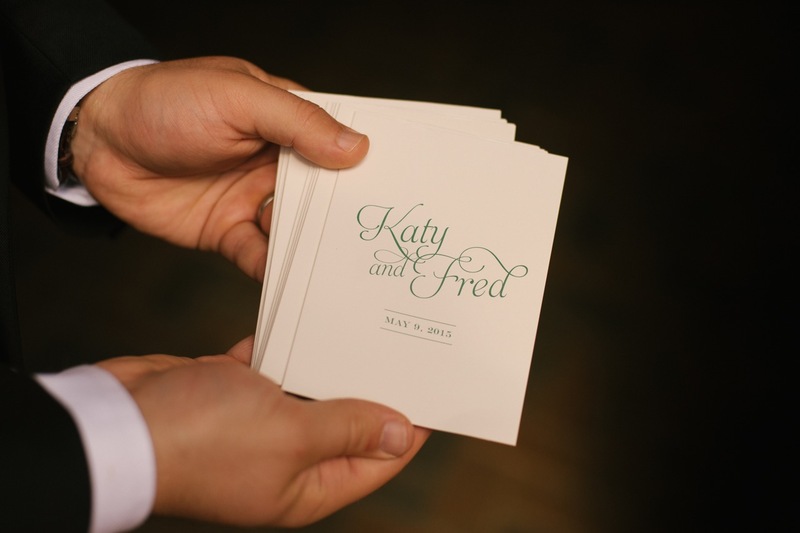 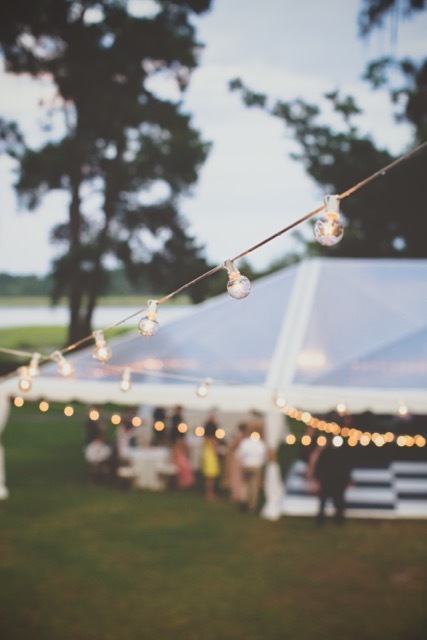 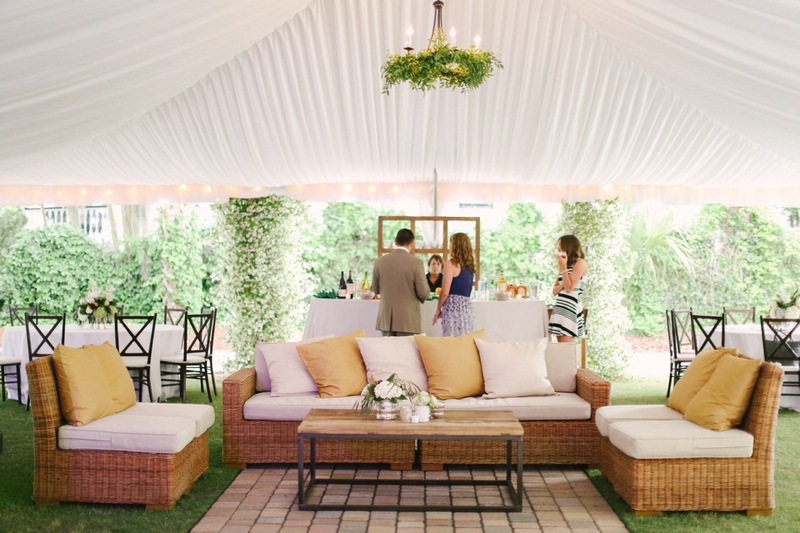 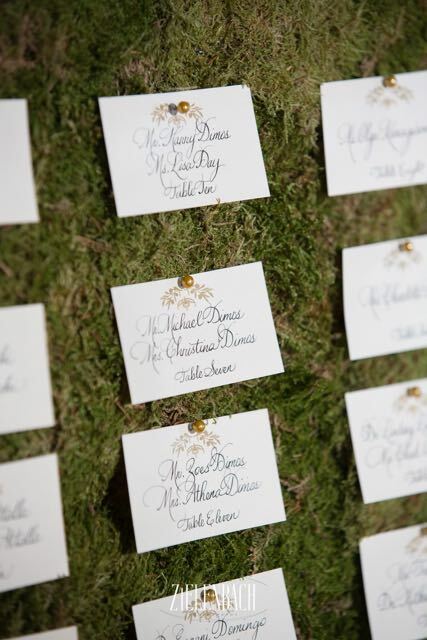 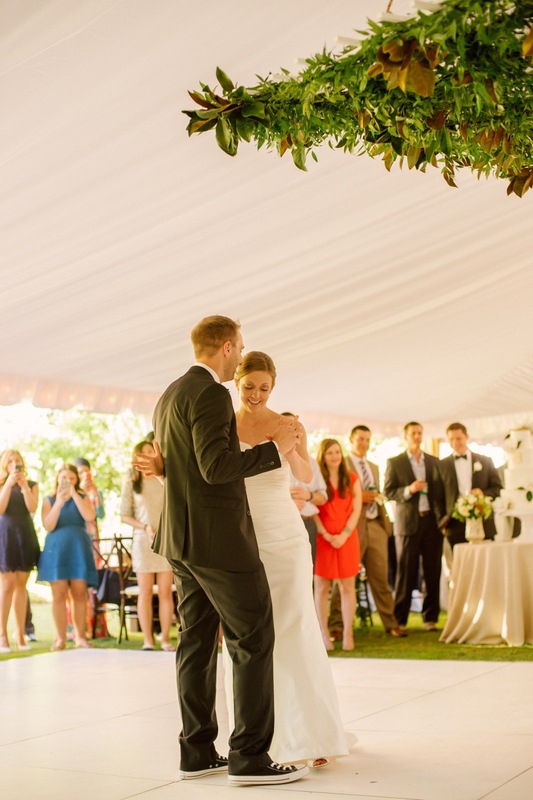 Katy and Fred planned a strolling reception for their guests and had food stations sprinkled around the expansive tent. 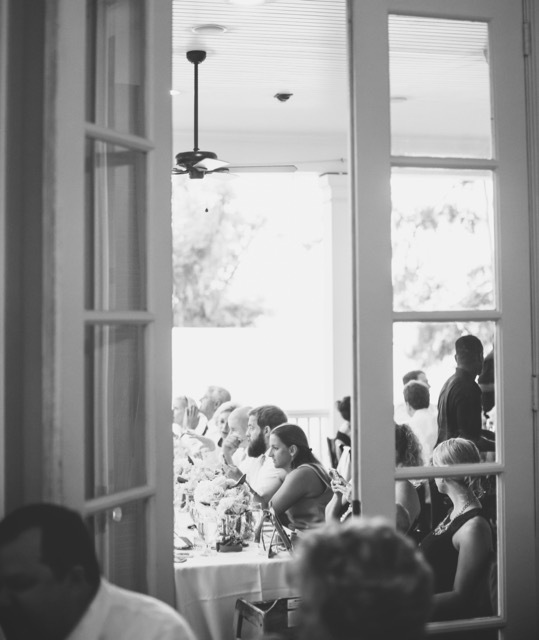 Chef Nick cooked up everything from quail and duck to some of the family’s secret recipes. 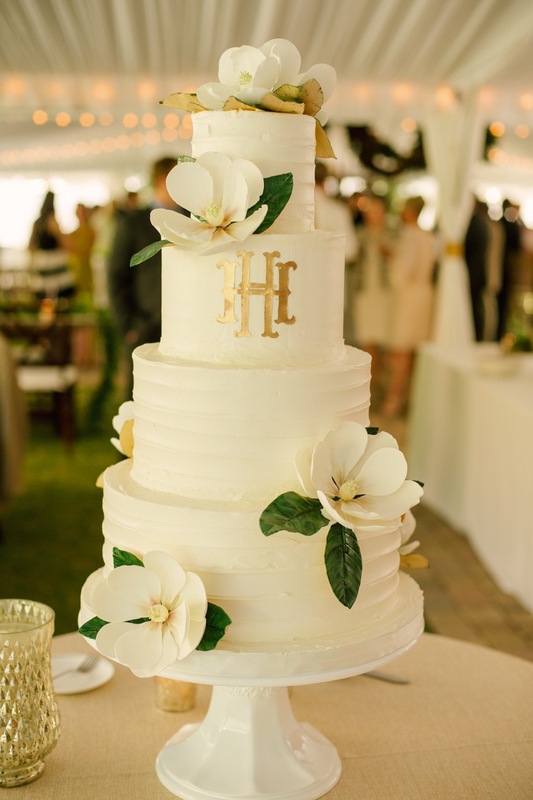 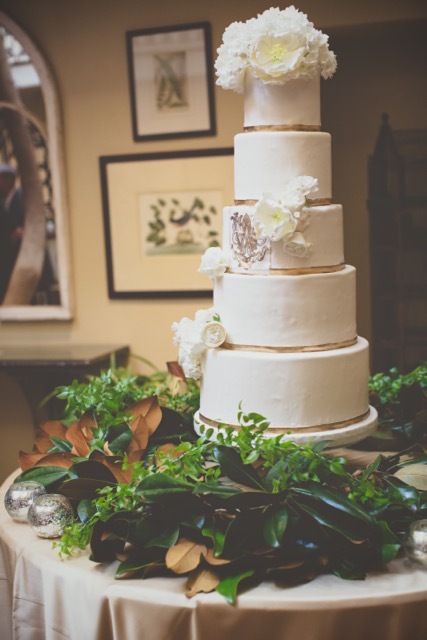 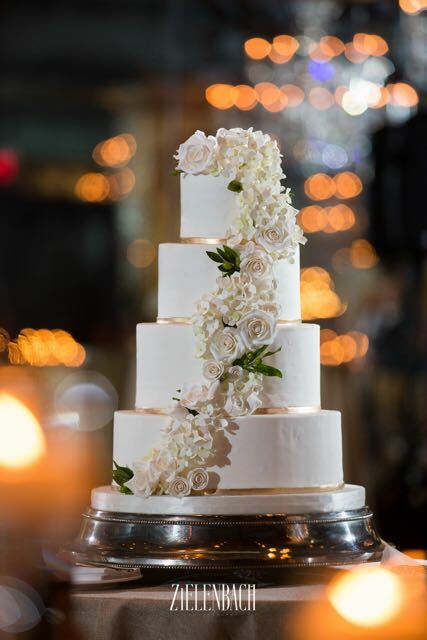 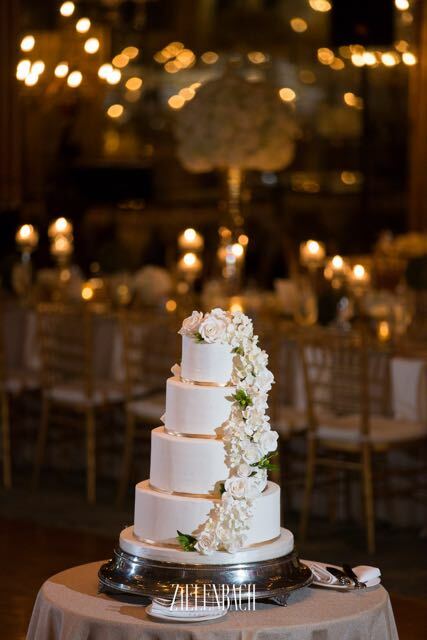 For dessert, Minette Rushing of Custom Cakes Savannah created a tiered wedding cake with sugar magnolias and a hand drawn replica of their custom monogram. 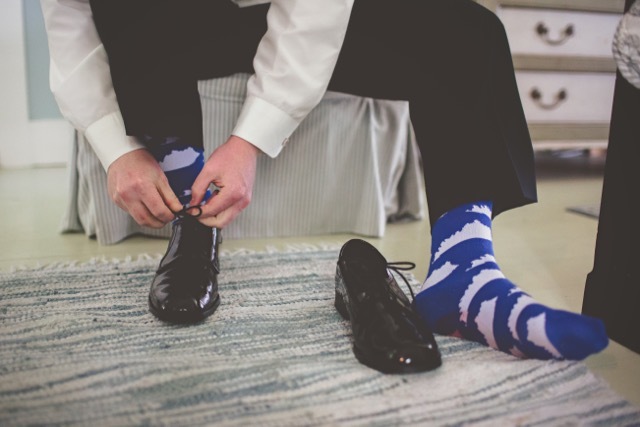 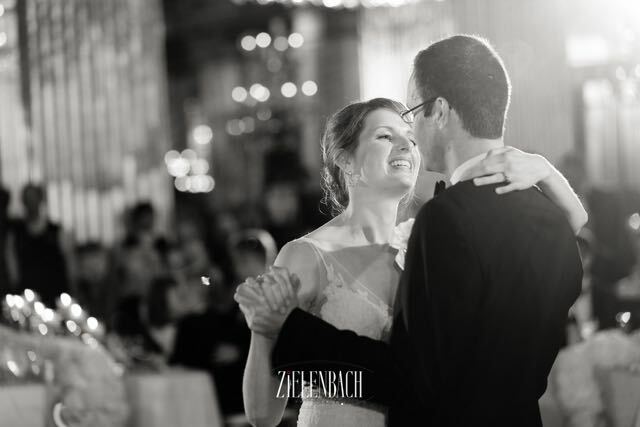 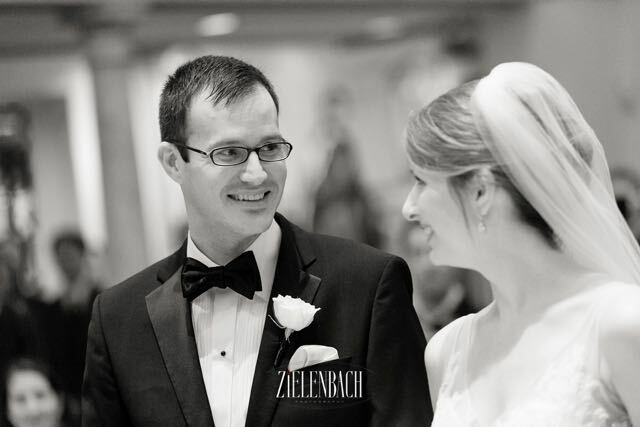 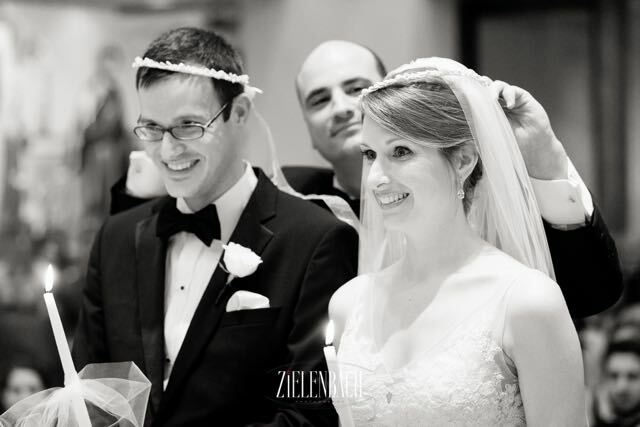 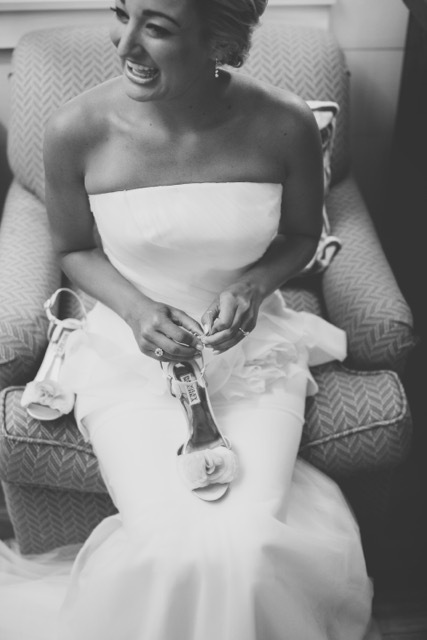 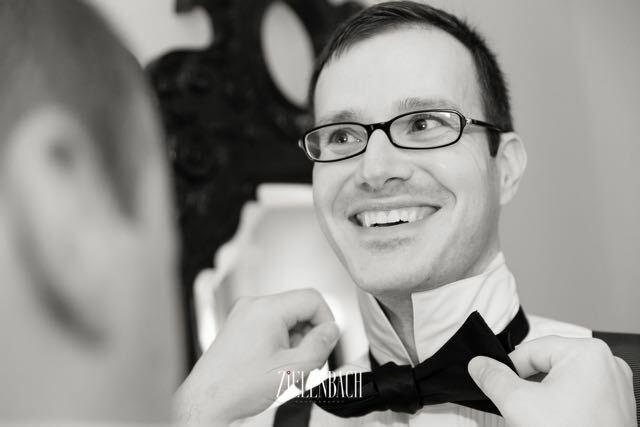 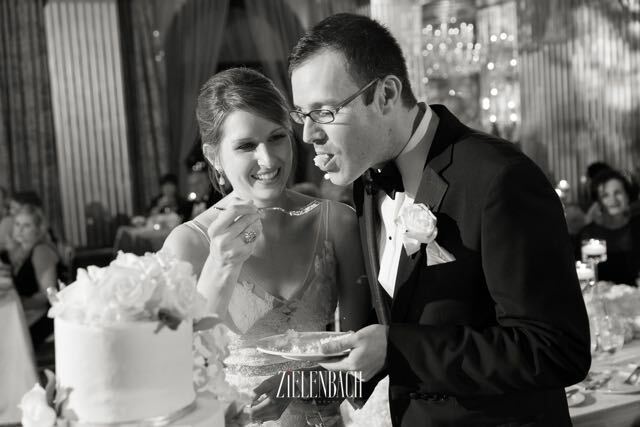 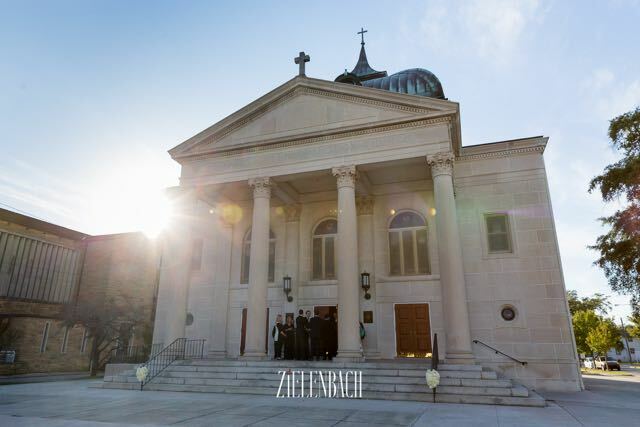 Thank you Evan Laettner for capturing their wedding day so beautifully through your lens. 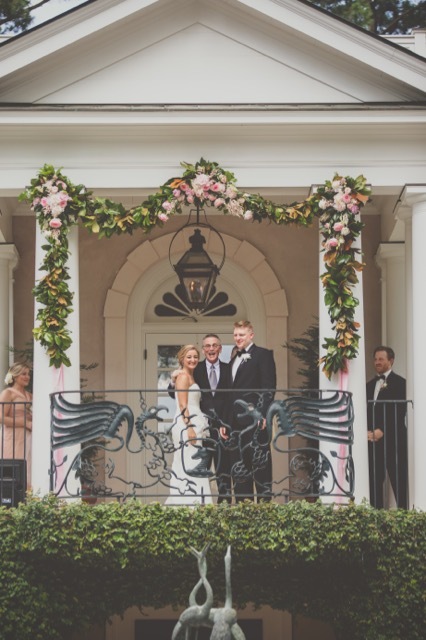 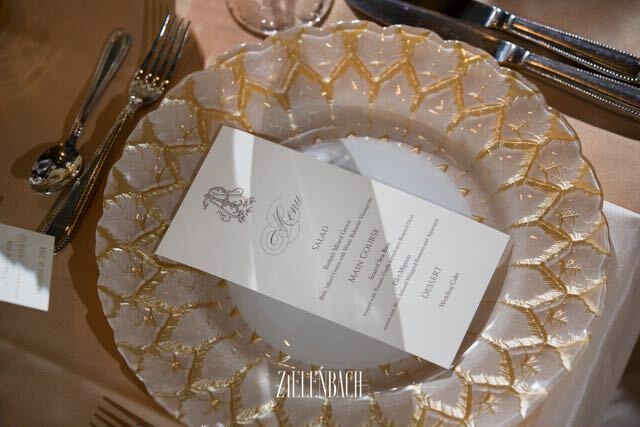 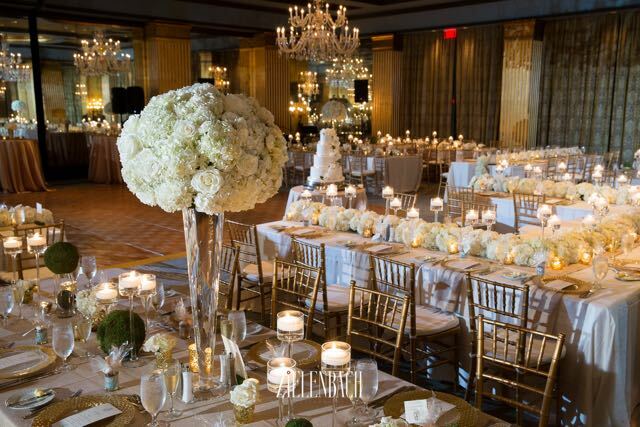 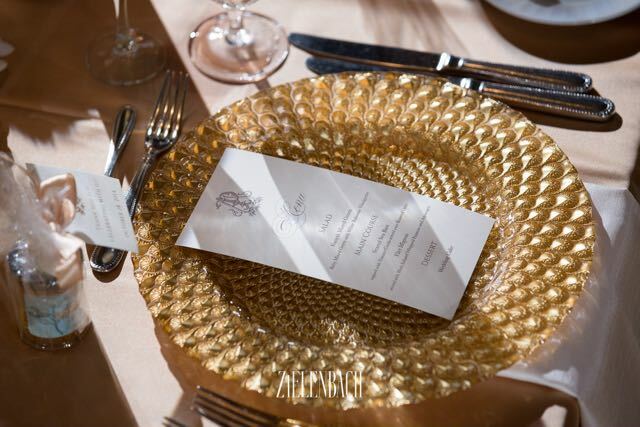 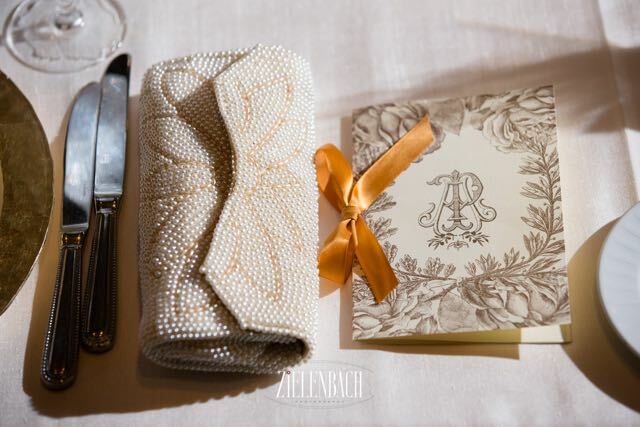 Ashley and Peter’s wedding was nothing short of a Savannah fairy tale and dazzled with luxurious details. 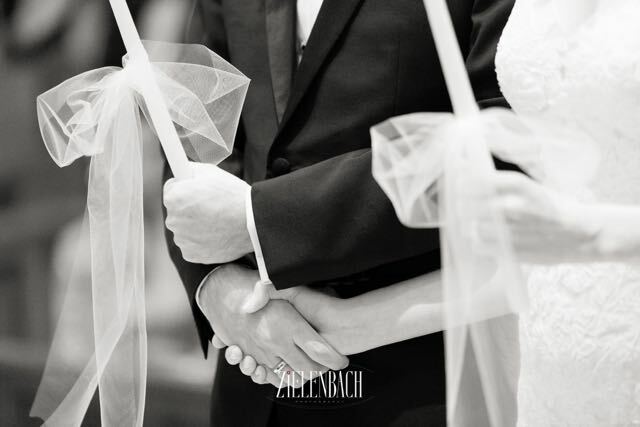 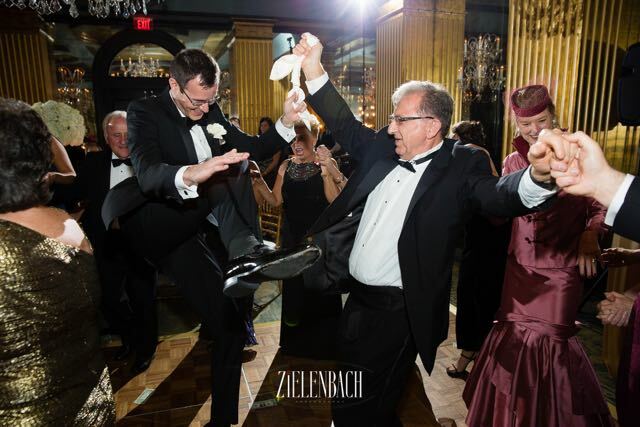 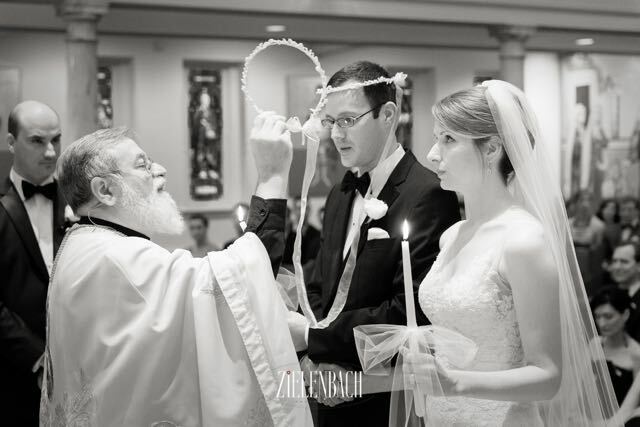 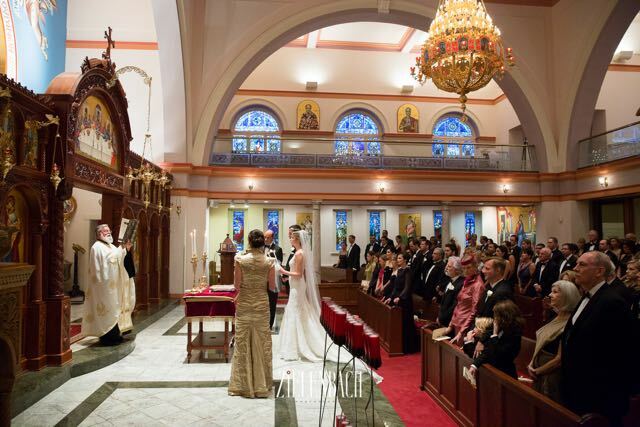 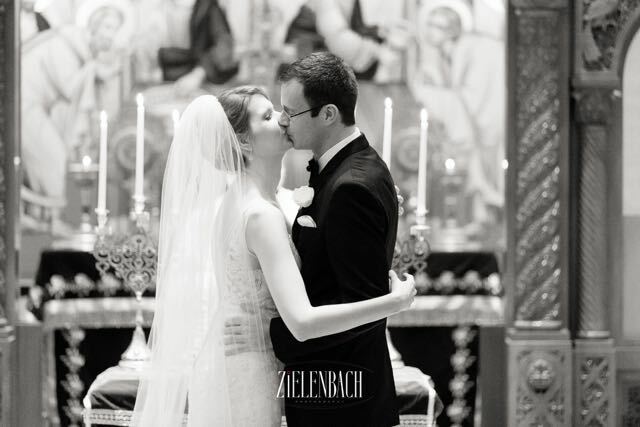 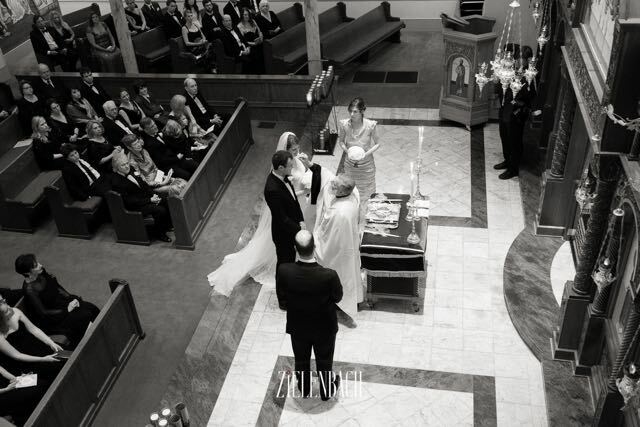 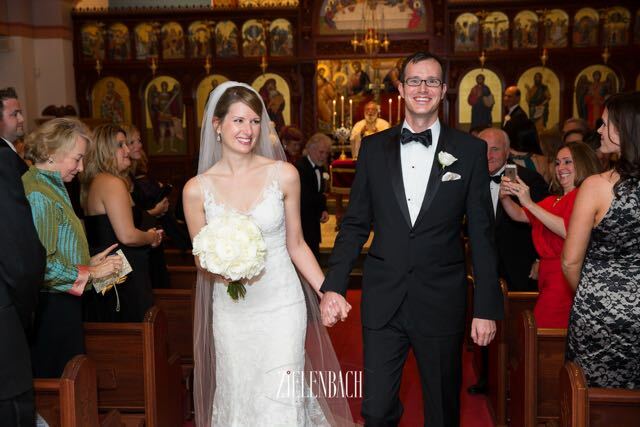 Their black tie celebration began with a traditional Greek ceremony at St. Paul’s Greek Orthodox Church. 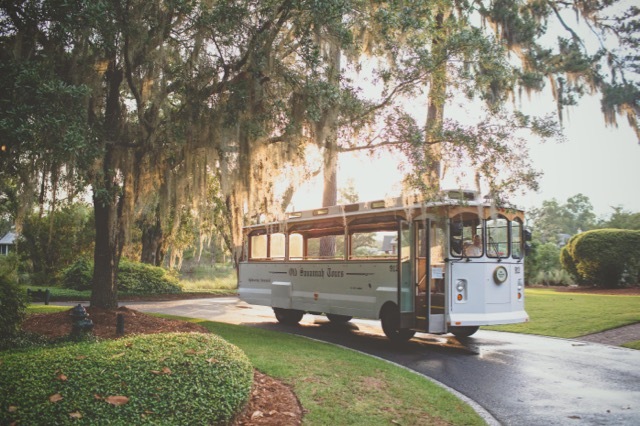 After the ceremony concluded, guests boarded trolleys and made their way to the historic (and some say haunted!) 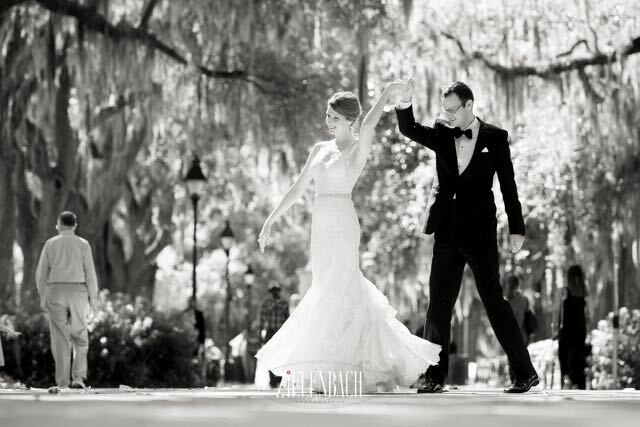 Mansion on Forsyth Park. 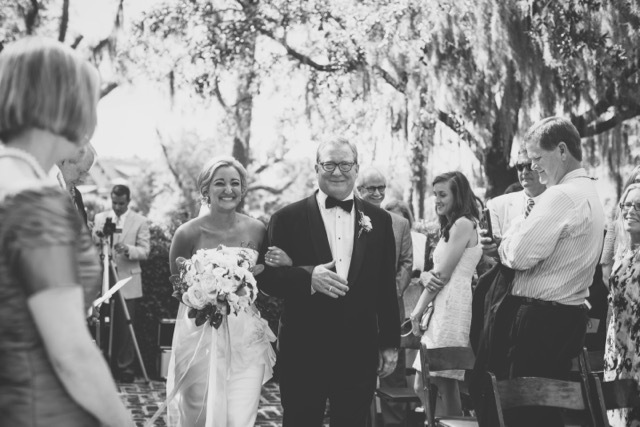 I knew from my first call with Ashley that she was going to be a dream to work with. 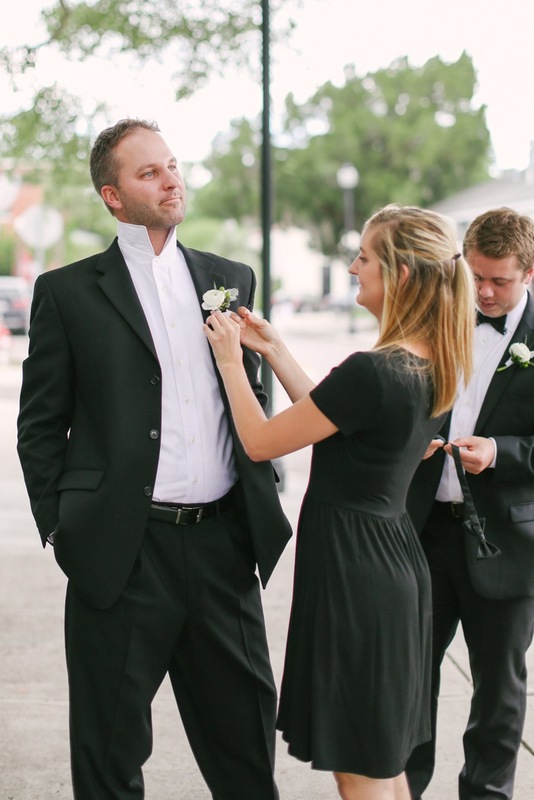 Not only does she have impeccable style and grace, she’s a GATOR too!! 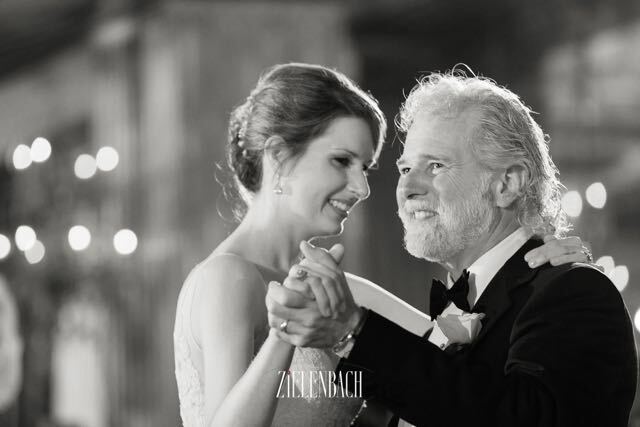 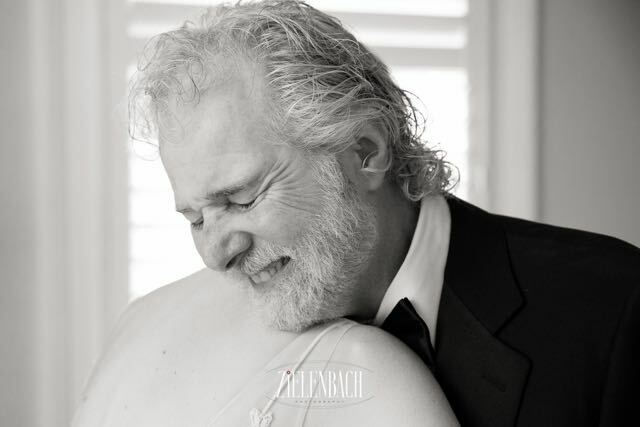 Did I mention her father is Chuck Leavell, the amazingly talented keyboardist for the Rolling Stones? 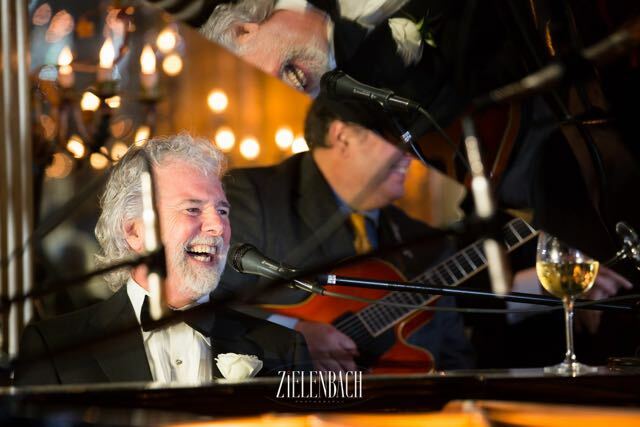 Lucky for us, the Mansion had a gorgeous Bosendorfer piano that was tuned and ready for Mr. Leavell to play that evening. 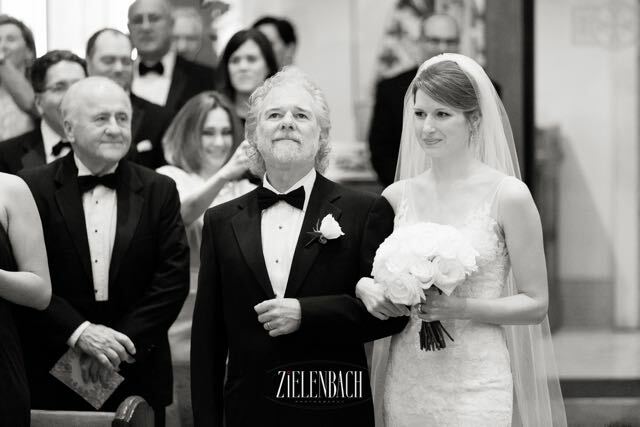 Upon conclusion of dinner, he played a selection of songs including “Ashley,” which he wrote for the beautiful bride when she was a little girl. 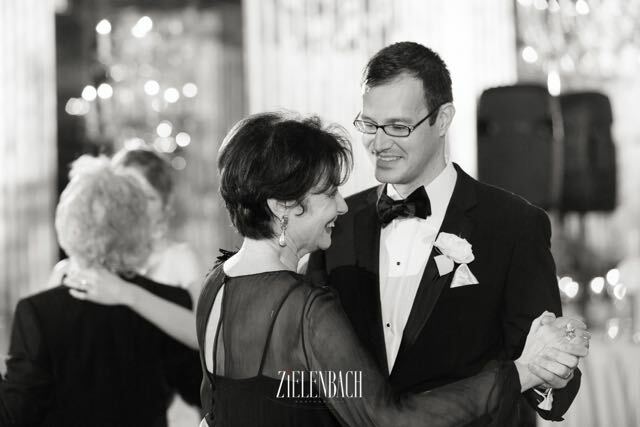 This wedding was nothing short of exquisite and I am still overjoyed and honored to have been part of it. 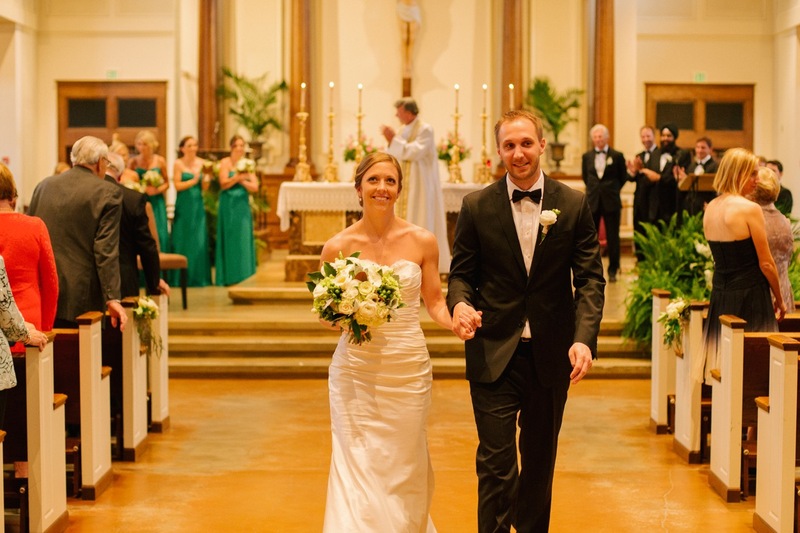 Congratulations Ashley and Peter!